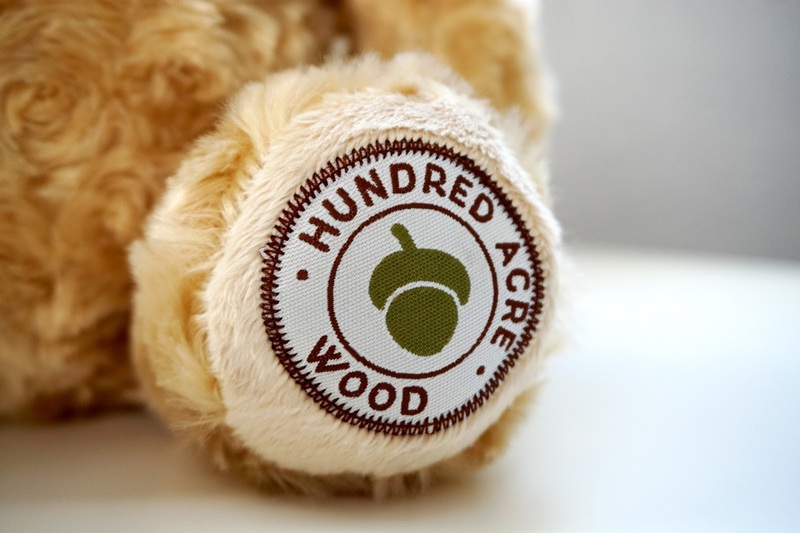 I'm sure we all know who the adorable Pooh Bear is from Tales from Hundred Acre Wood. I'm also sure most of us have watched the Pooh Bear movies and read the classic storybooks too about Winnie The Pooh's adventures in the Hundred Acre Woods with his little friends, Tiger, Piglet, Eeyore and Christopher Robin. My eldest loved Winnie The Pooh when she was little, and one of her first ever Christmas gifts from me was a large Winnie The Pooh bear. However, it's not the classic Pooh Bear, it's the bright yellow bear with the red t-shirt. 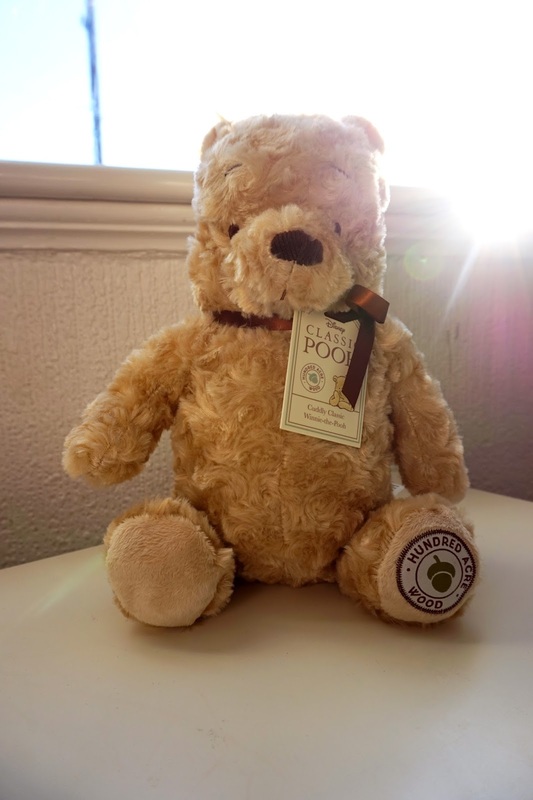 We were sent the Classic Winnie the Pooh cuddly bear not long ago, and I have to admit, it's one of the softest cuddliest teddies ever. The fabric is fantastic quality and super soft. I love the fact that it's the classic Pooh Bear and it's absolutely adorable. At the moment it's in my bedroom kept safely, I'm in two minds of giving it to my youngest as a teddy, but I may wait until he is a little older when he can look after it properly. Although I'm in my mid-twenties, I do still love cuddly teddies. 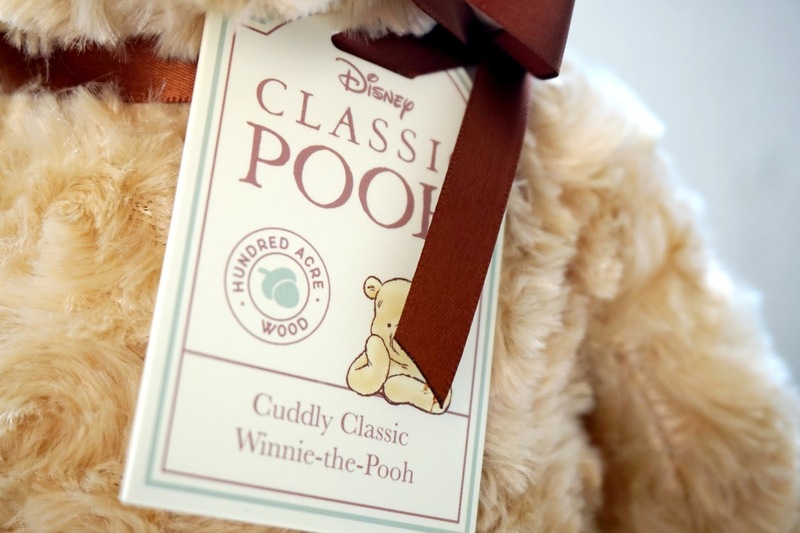 This Classic Pooh Bear is the perfect gift for any new baby. It's so soft, it's suitable for newborns. 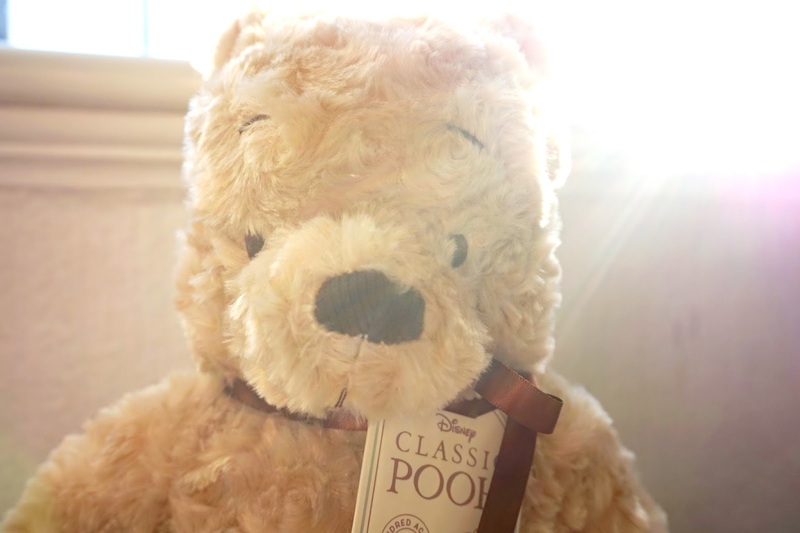 It's such an adorable bear, and I'm sure your little one will have tonnes of memories with the amazing Pooh Bear. Do you love Winnie The Pooh?